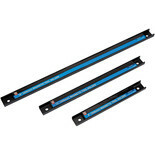 Ideal for garage and workshop use which requires large quantities of sockets to be carried between work stations. 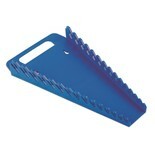 Neat and tidy steel tray for storing loose sockets. 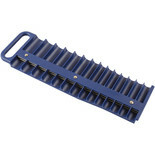 Fitted with integral carry handle. 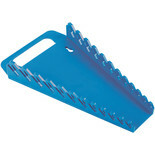 This organiser will hold 35 spanners , to keep them in the correct order in your tool box. 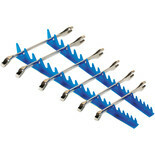 This organiser rack has room for 15 spanners. 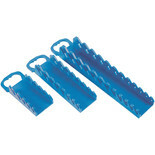 This 3 piece spannerholder set stores and organises up-to 25 stubby spanners. 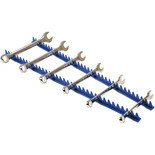 The Sharks teeth spanner organiser takes 20 spanners 420mm long and will ensure you can keep your workshop, garage or tool box neatly organised. 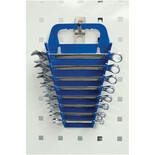 A spannerrack/organiser for 12 spanners. 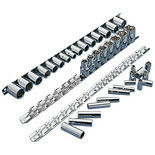 Manufactured from TPR material. 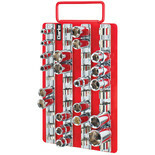 This magnetic socket tray is for 3/8"Drive sockets. 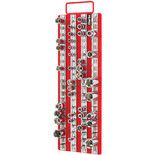 Part of the Laser socket accessory range and holds 14 deep and 14 standard sockets. 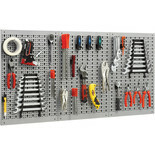 Keep your workshop organised and tidy with the Laser wrench organiser. 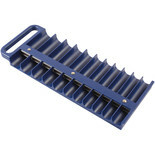 This organiser holds a total 8 spanners and is manufactured from a durable TPR material. 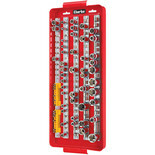 This magnetic socket tray is for 1/2"Drive sockets. 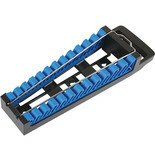 Part of the Laser socket accessory range and holds 11 deep and 11 standard sockets.